The Aireator® is the original DeFeet sock, keeping athletes' feet comfortable and ventilated for years on end. 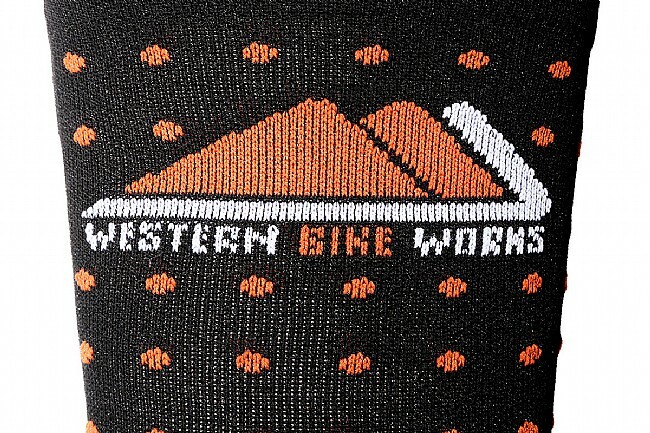 This custom design for Western Bikeworks features our signature black and orange polka-dot design for a downplayed look that's inarguably stylish. They're knit with CoolMax® EcoMade™ fibers for excellent moisture-wicking, while the open-mesh ventilated top-foot provides superior airflow, giving the Aireator® its name. The lightweight construction makes them a good option for close-fitting cycling shoes, while a reinforced heel and toe still ensures long wear. Features a 6-inch cuff. 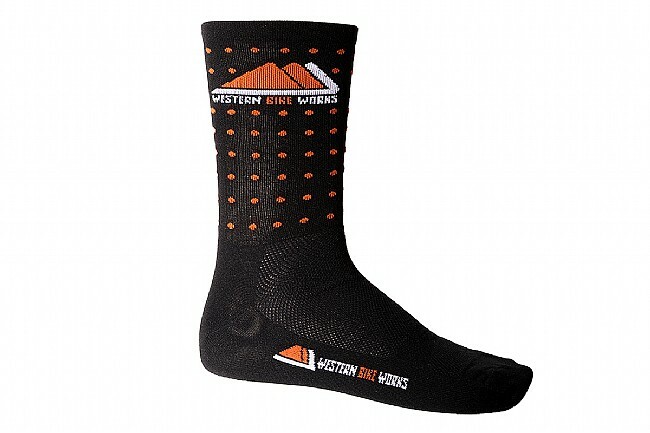 Good socks for everyday rides and cold rides as well.